“What’s the one thing I have to eat in Singapore?” our Swedish friend asked two years ago. We were lounging in a shaded beach in Bali, talking about our friend’s trip around Southeast Asia. Singapore was her next destination, and we spent the last hour or so talking about what to see in there. Where do you go for a late-night snack, a fancy afternoon tea or good dim sum? Here are some of our favorite places. Hawker centers are open-air areas with stalls serving food of all kinds. Some of the stalls have been there for generations, the secret recipe passed down and perfected through time. 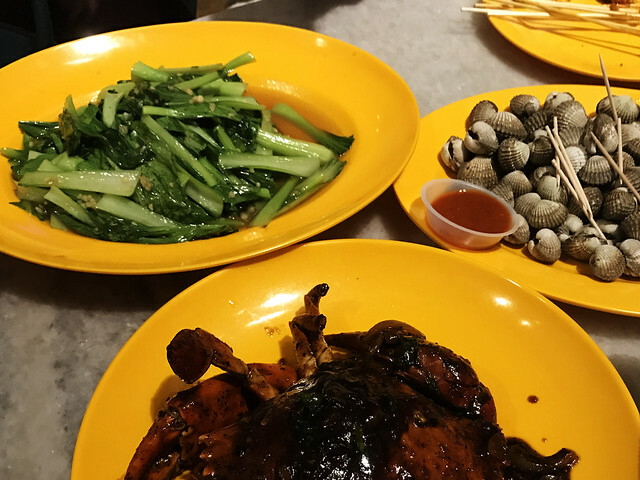 Despite the amazing taste, food at hawker centers are usually inexpensive. 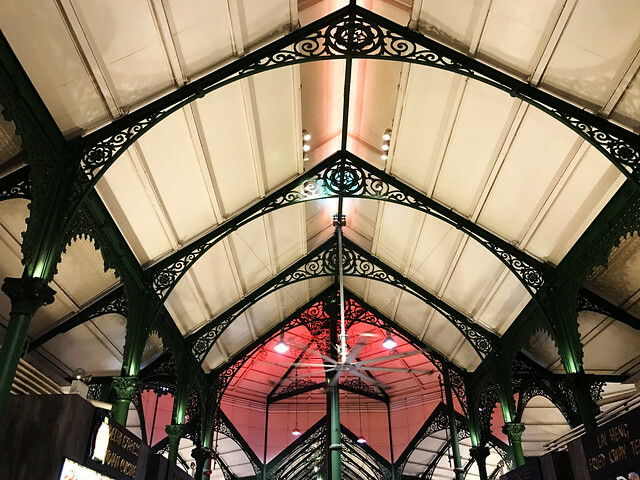 We went to one of our favorite centers last summer: Lau Pa Sat (located off the Raffles Place station on the MRT). We arrived late, just a half-hour away from midnight, but most of the stalls were still open. People were still there, seated in groups and sipping ice-cold drinks to ward off the summer heat. 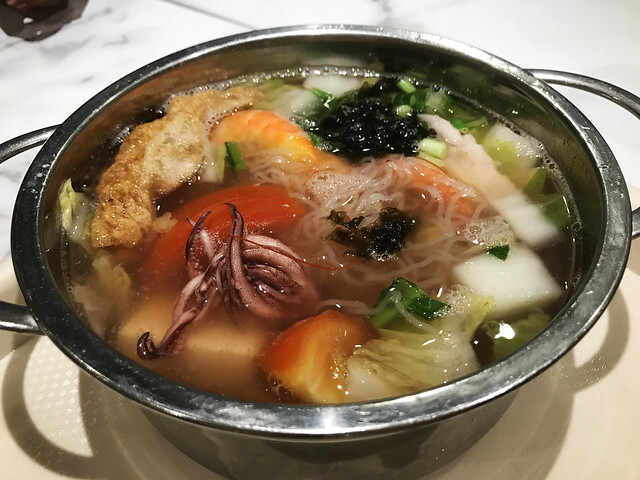 Singaporean malls host fine dining restaurants left and right, offering world-class gourmet food and exceptional dining experiences.. For those who don’t want to spend too much, go to the food courts. Unlike the ones you would encounter in America, the food courts here are amazing. 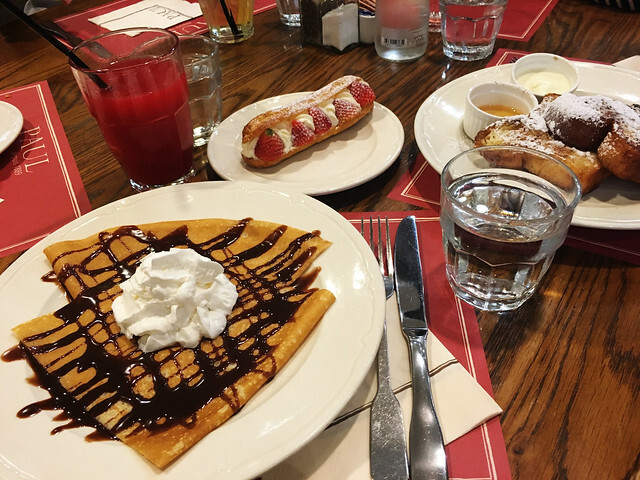 Our favorite is the one at ION Orchard, but honestly, they’re all great. 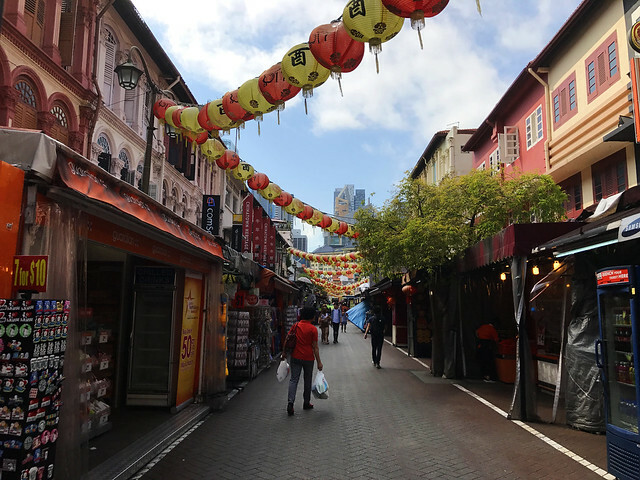 If you’re craving for some authentic chicken biryani, roti prata, or curry, go to Singapore’s little India. For Malaysian nasi lemak, martabak, and Middle Eastern food, visit the Arab Quarters. 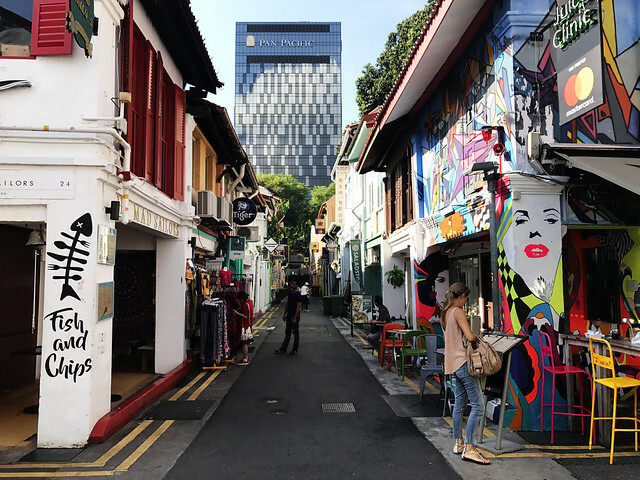 Singapore’s many cultural enclaves and neighborhoods offer delicious authentic food that everyone has to try. Afternoon tea is a thing here, influenced by British traditions from colonial times. Many five-star hotels offer afternoon tea menus at their beautiful restaurants, from the chic Fairmont to the elegant Mandarin Oriental, which offers up to five courses! 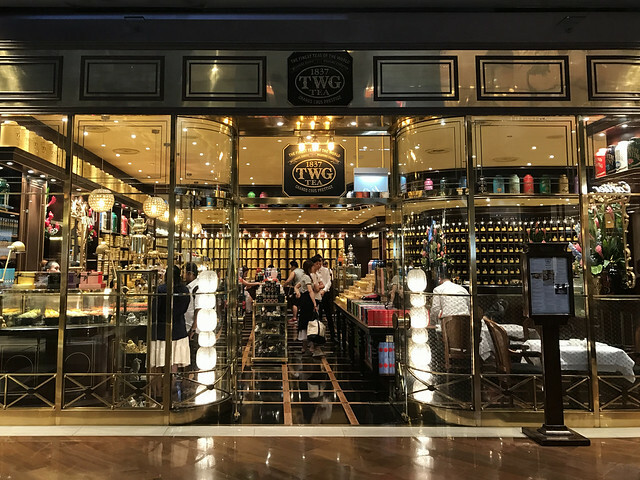 Our favorite place to have tea is TWG, which you can find everywhere in Singapore. 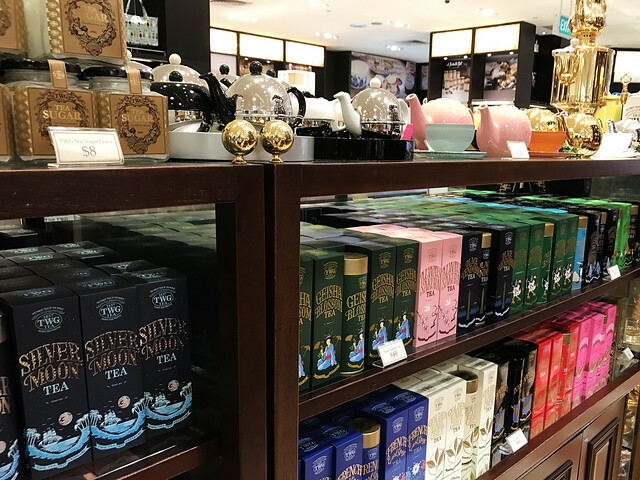 It has a laid-back but elegant atmosphere, which is perfect for tea after a long day sightseeing or shopping. 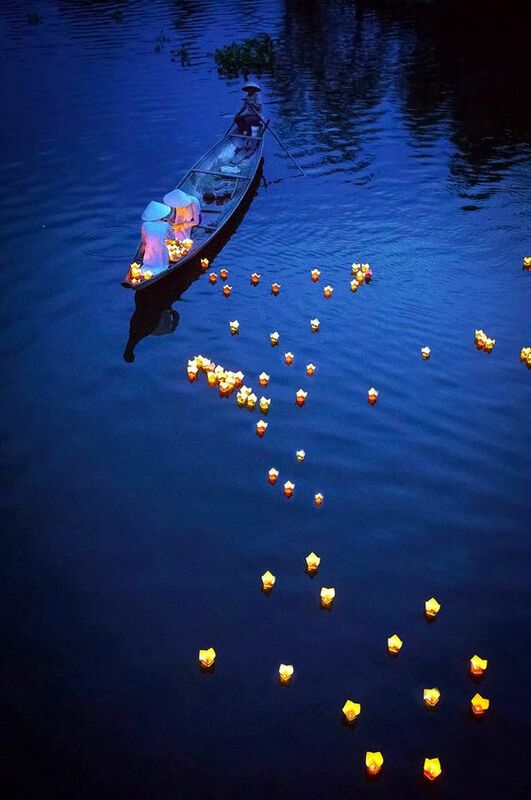 Once you find yourself in these amazing places, the question becomes: what should you order? These are some of our favorites! Soup in a dumpling? Yes, please! 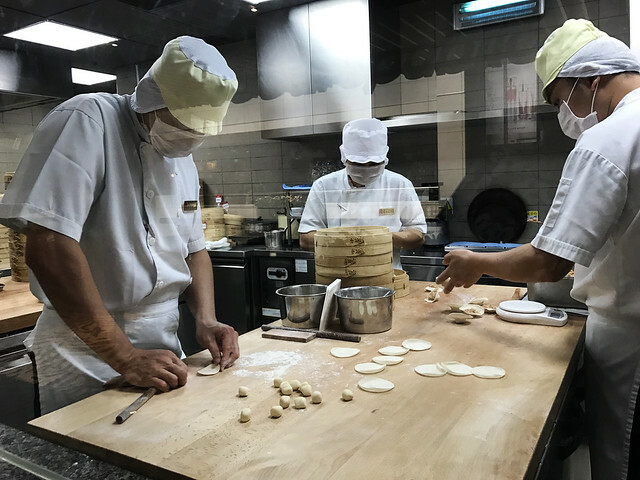 Go to Din Tai Fung for some of these famed dumplings. Keep in mind that you’ll most probably have to wait in line. But no worries, you get to watch the chefs make the dumplings from a glass wall as you wait for a table. 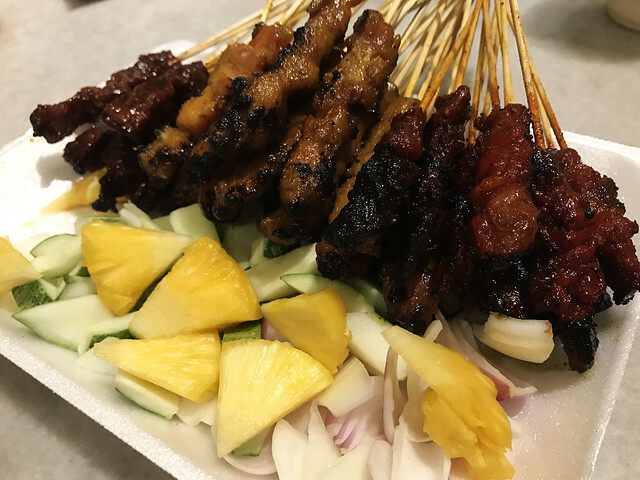 We have lots of Satay in Indonesia (for so much cheaper too), but Singaporean satay tastes a little different. We love it too, and would recommend everyone try it! 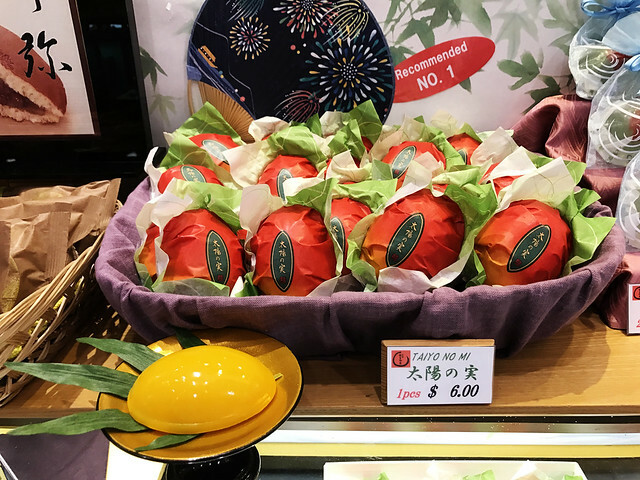 A great place to get gifts for food-loving people back home. They have locations all over, even at the airport! 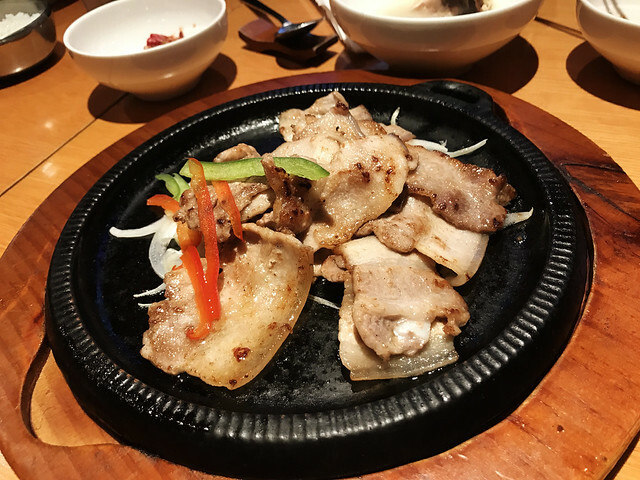 Their specialty is Bakkwa, or barbecued meat grilled to perfection. They’re like jerky, only a thousand times better. 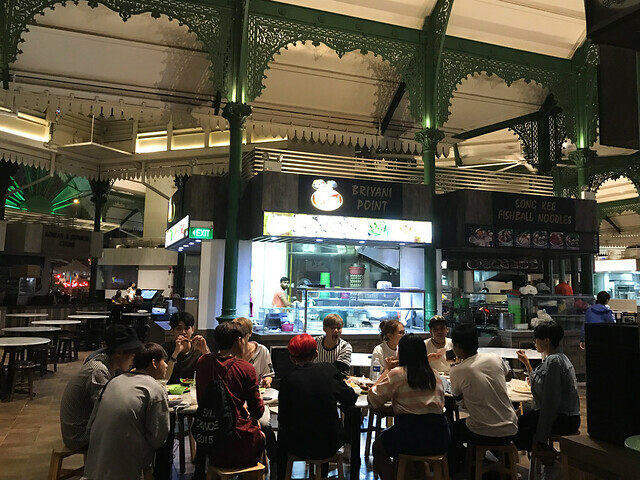 We won’t get into any details for these, but keep an eye out for: Hainan chicken rice, Bak Kut (meat bones and pork ribs soup), kaya toast with coffee and soft-boiled eggs, laksa, oyster omelette, char kway teow (stir-friend noodles), bee hoon, roast duck, steamboat soups, and the famous Durian for more adventurous eaters! 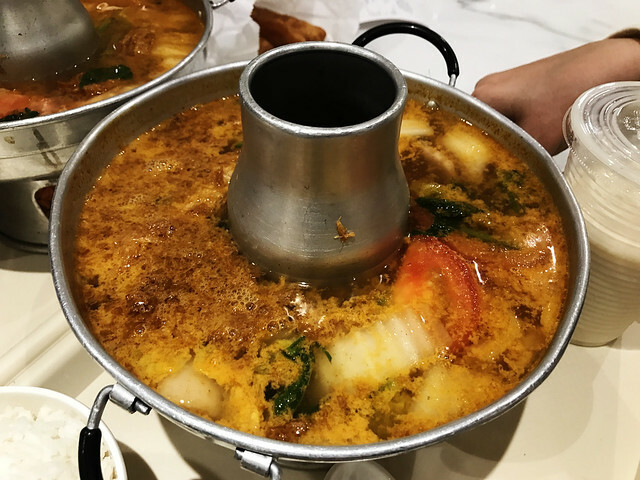 Whatever kind of cuisine you want, you can find in Singapore. 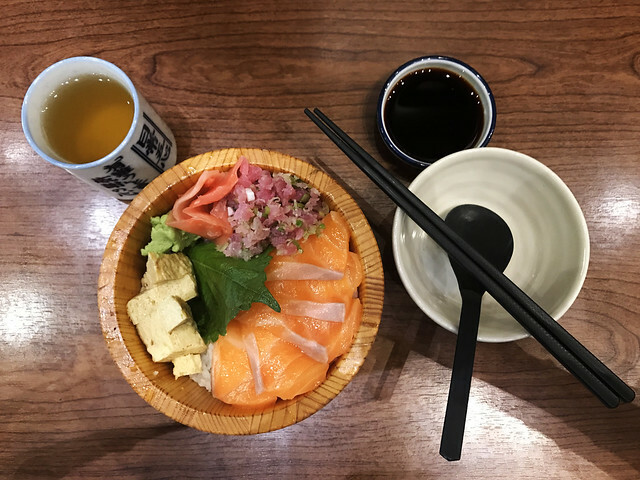 Get some authentic Japanese food at one of the Japanese malls lining Orchard Road. Or Indonesian/Malaysian roejak from Lucky Plaza. Indian cuisine abound in Little India. 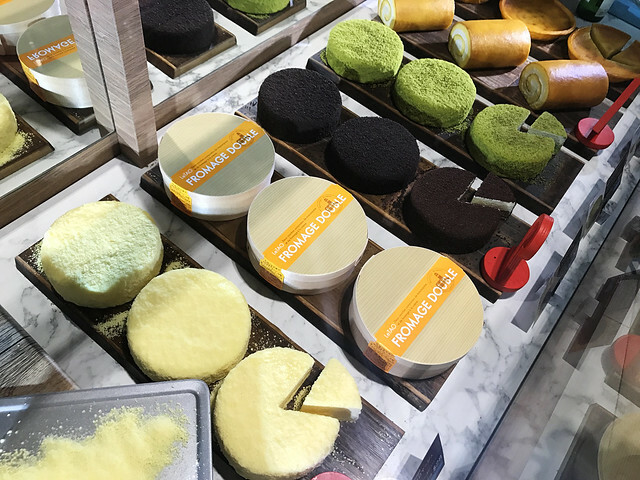 The options are endless, and we urge you to try out everything because Singapore is truly a treasure trove for all food-lovers. 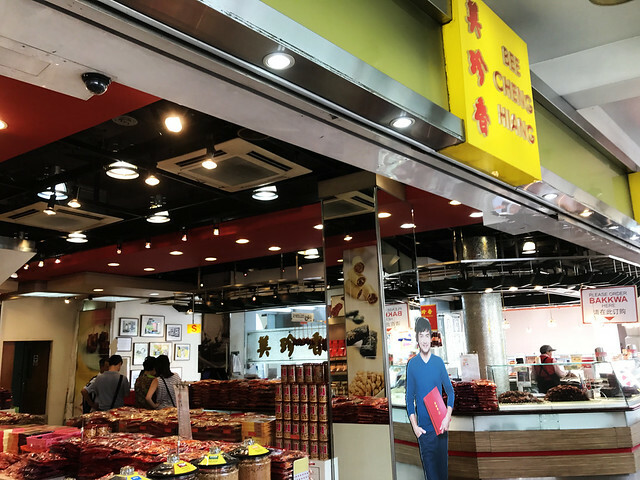 This entry was posted in Food and tagged bak kut, bee cheng hiang, char kway teow, culture, din tai fung, durian, food, hawker center singapore, laksa, lau pa sat, mypassengerdiaries, on budget travel, personal experience, photography, singapore, student travel, tourism, travel blog, traveling, traveling twins, twins, twins travel, twins who travel, what to do in singapore, what to eat in singapore. Bookmark the permalink.